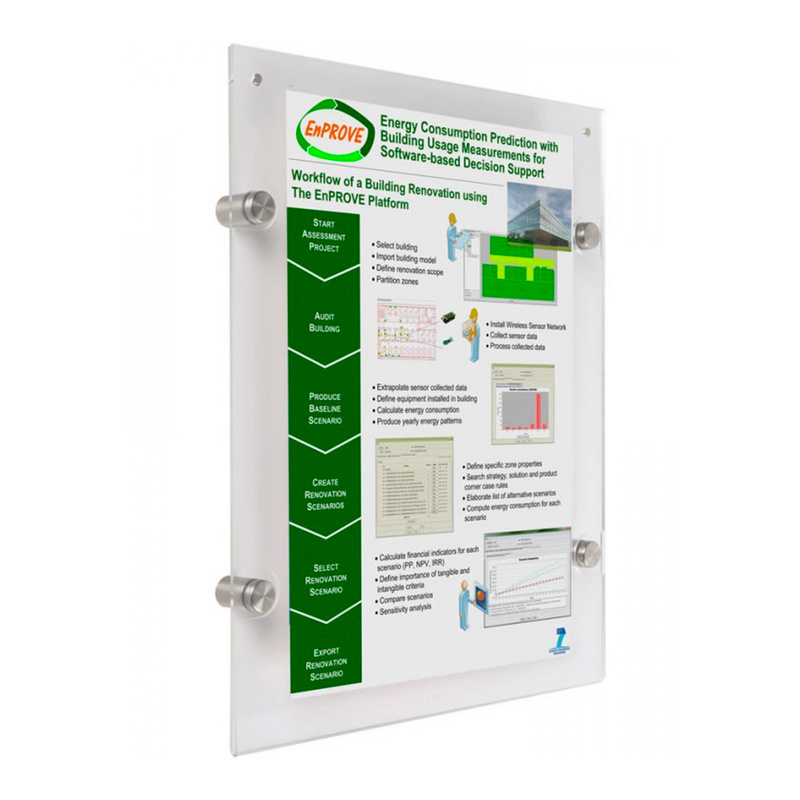 This wall mount clear acrylic frame with standoff hardware and magnets is a great marketing tool for any type of business or even for personal use. 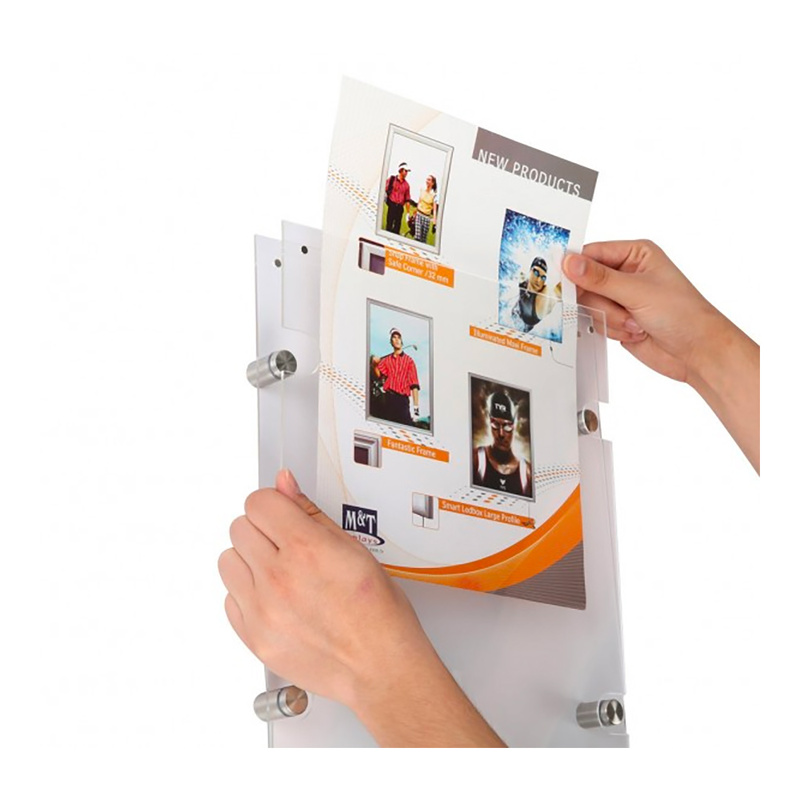 These acrylic frames can display flyers, certifications, photos, menus, and any other graphics. 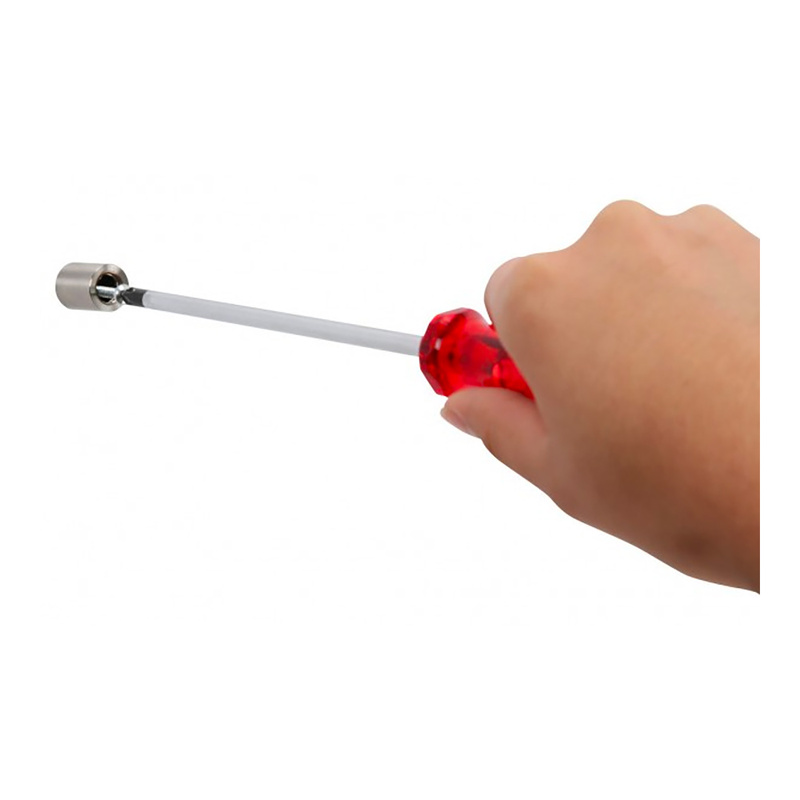 Retail stores, restaurants, schools, corporate offices, beauty and nail salons are some of the businesses that these standoff systems can be used in. 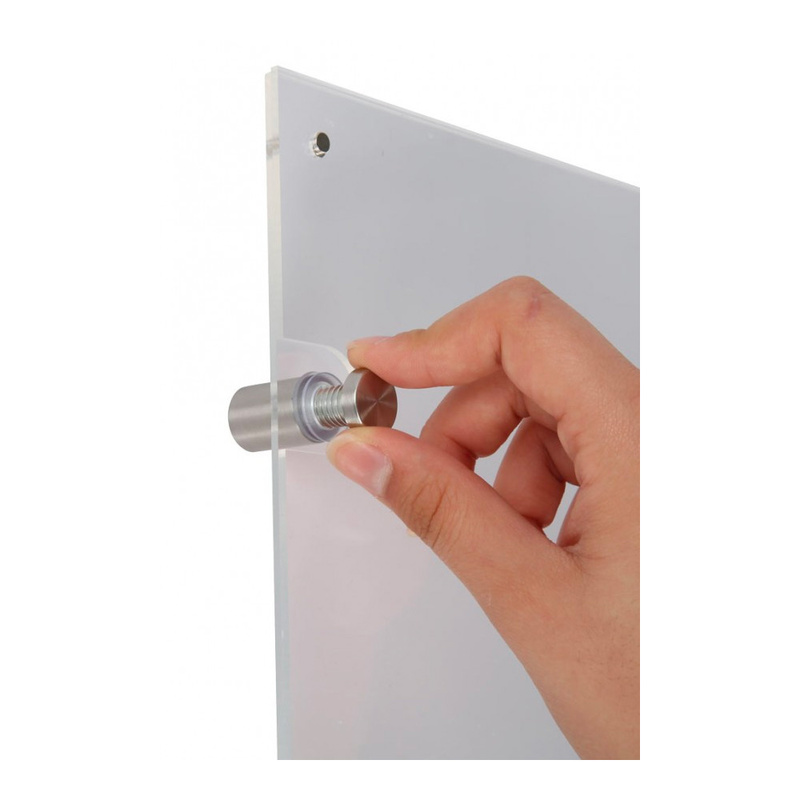 These sign acrylic wall sign comes with all the necessary hardware for mounting on the wall. Each standoff system can be easily mounted on the wall. Any 8.5" x 11" graphic will fit in this holder in portrait format. Graphics can be changed easily without having to take the whole unit off the wall. Economic and impressive acrylic wall signs will be your favorite display for your business and home.